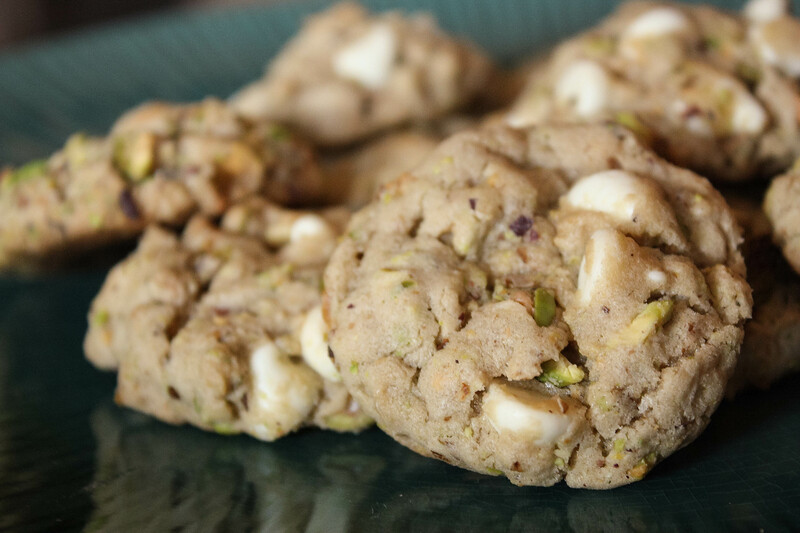 I shocked myself with these Pistachio White Chocolate Cookies. On a gorgeous late-August day, surrounded by good friends at a barbecue, these cookies went before my eyes. These treats have texture from the oatmeal, but also a tantalizing sweet-salty combination, which makes it hard to eat just one. In fear of sounding like I always say “these are the best…,” I want to make it loud and clear that I just found the holy grail of cookies. Preheat oven to 350 degrees. Cream butter and sugars together. Add eggs, milk, vanilla and mix until combined. In a separate bowl, mix flour, soda, powder, salt and rolled oats. Add this dry mixture to the wet mixture slowly. 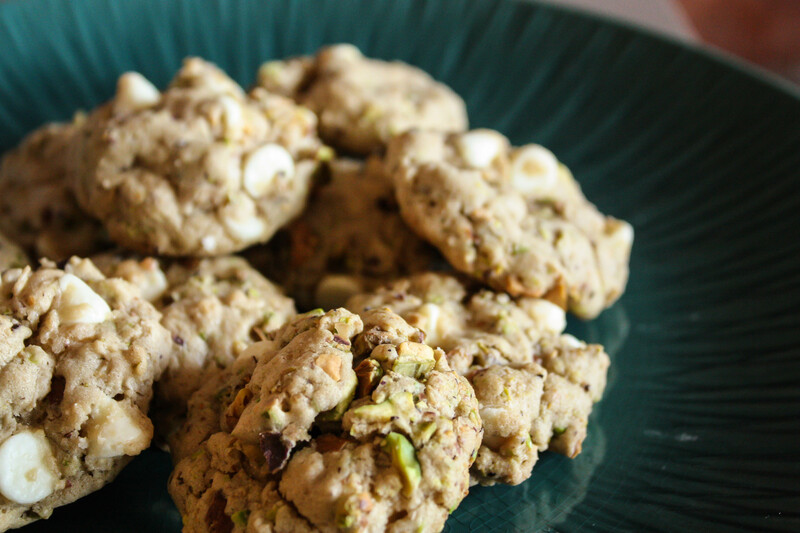 Fold in pistachios and white chocolate chips. Drop teaspoonfuls of dough on parchment paper-lined cookie trays. Bake for 8-10 minutes, until golden brown.